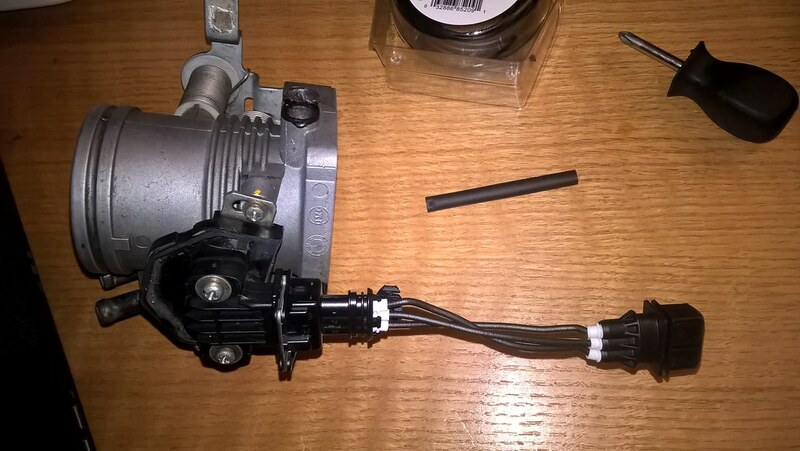 I found when turbocharging my car that the standalong Megasquirt unit I had bought needed the throttle position sensor from an m5x motor. 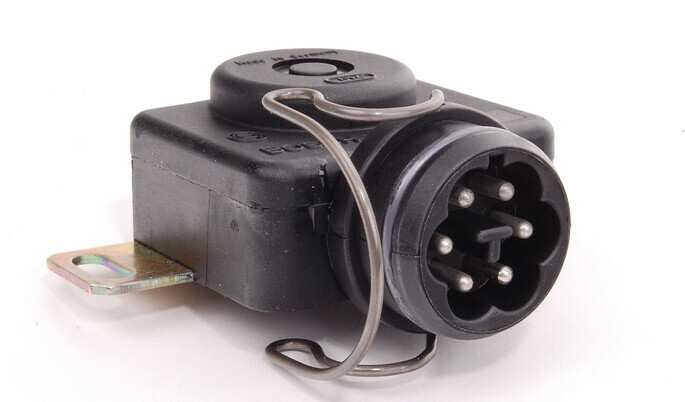 As it turns out, the original e30 TPS is a switched style sensor with an idle, cruise, and wide open throttle switch. 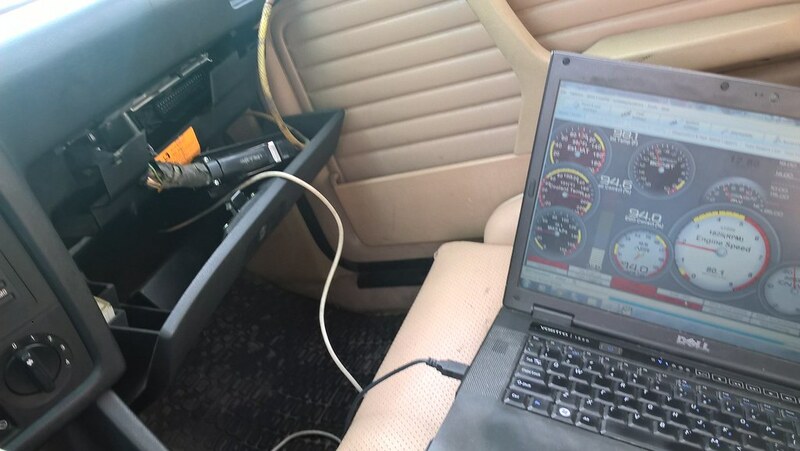 The solution is a variable TPS from an e36 or m50 engine. 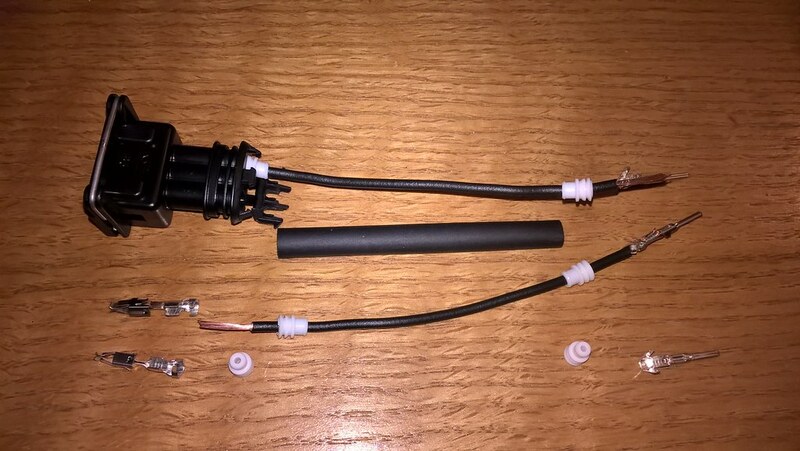 This potentiometer style sensor gives the voltage signal megasquirt is looking for based on throttle percentage open. Here is an image showing the two sensors. It is true that the e32/e34 automatics had a TPS with both the potentiometer and the switched style sensor build in one. 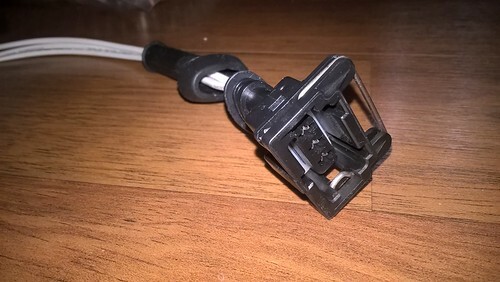 As it turns out this sensor costs $300 these days and the connector does not connect to the e30 style engine harness so some custom wiring must be done. 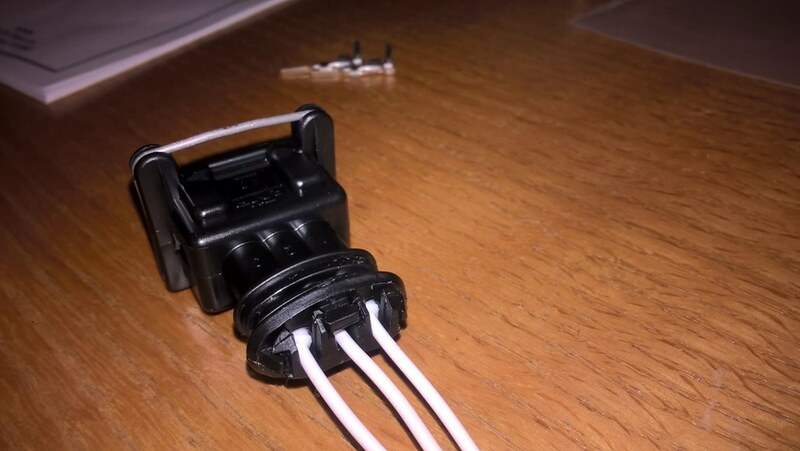 Here is a photo of that sensor. 3. Modify wiring harness by switching 2 wires so megasquirt sees correct TPS signal. The benefits to this kit include it being totally reversible. You can remove it and revert back to stock TPS and motronic. There is no wiring, no hassle, and no headaches. This is a direct plug and play solution with all the headache taken out of it. 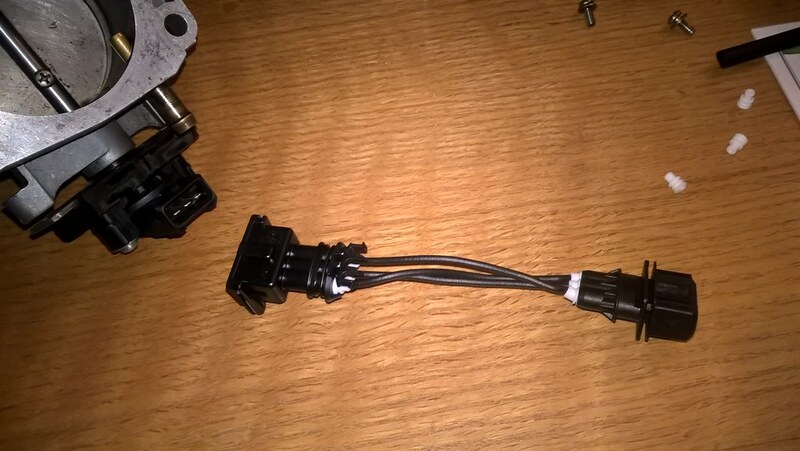 The bosch style connectors fit right into the e30 engine harness and the TPS sensor. 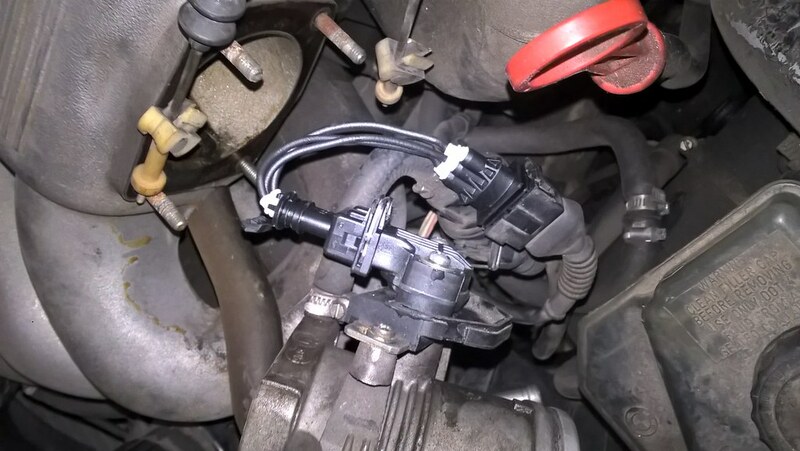 The wiring adapter will swap the necessary wires and the bracket will bolt right up to both the throttle body and the sensor and come with all necessary mounting components. 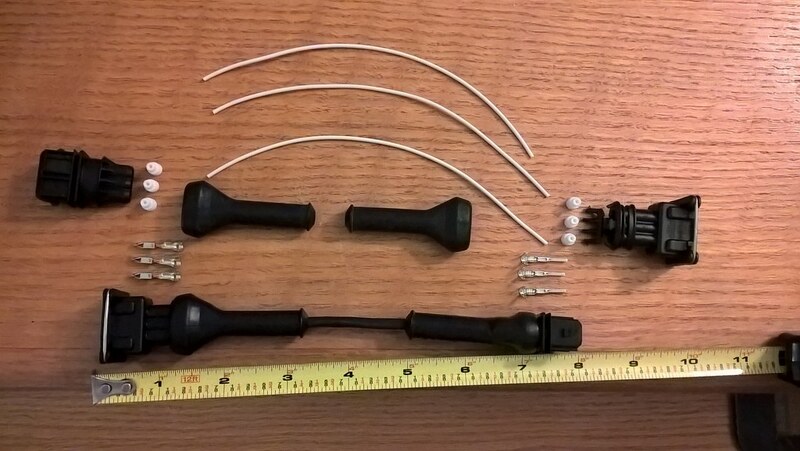 I have ordered and received parts and am about to assemble these units but would like to set up a feeler and group buy. 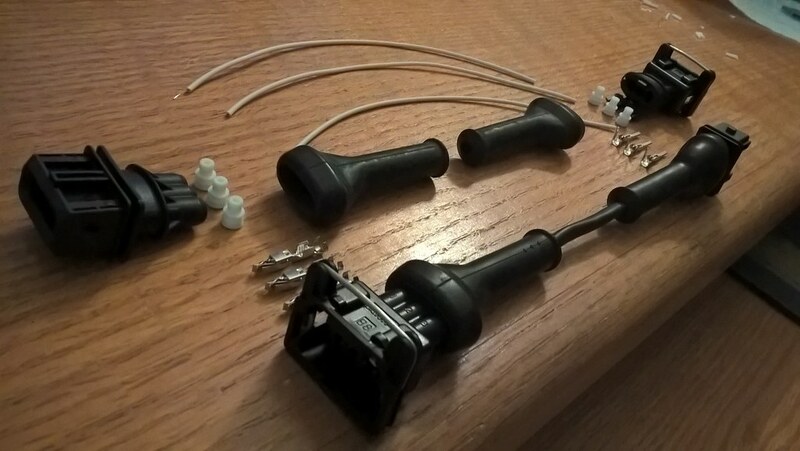 Please let me know if you are interested and if you would want the full kit, the kit without the sensor, or just the wiring adapter or tps adapter bracket and hardware. 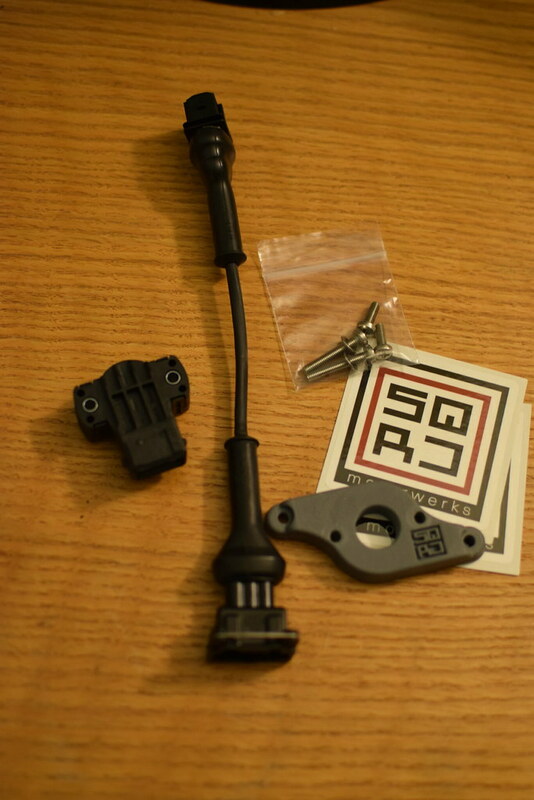 I am trying to price the adapter kit without the sensor at $89 and with the sensor about $135 shipped. 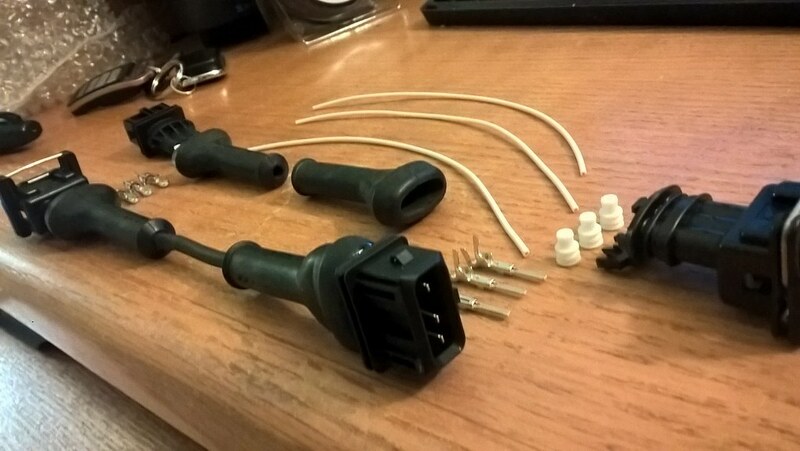 The wiring adapter only would be cheaper, somewhere around $45 shipped. I build my first prototype tps adapter and it worked. Here area couple of pictures. I didn't use heat shrink or the rubber dust boots on this one in case I had a problem. Here are a few pictures as well as once I installed it on my car and tested it. Note I am using a homemade adapter bracket not the one that will come in this kit. 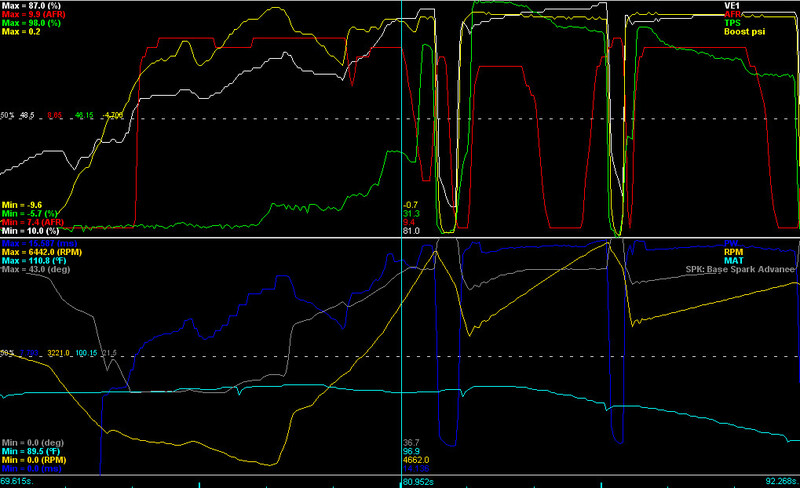 I did a datalog, but ignore the AFR readings as i am running the engine on basically stock Motronic 1.3 with a narrowband oxygen sensor. Good to hear it works. This would be nice to have had before I did my swap. Still one I'd probably get for one of my other M30 cars. 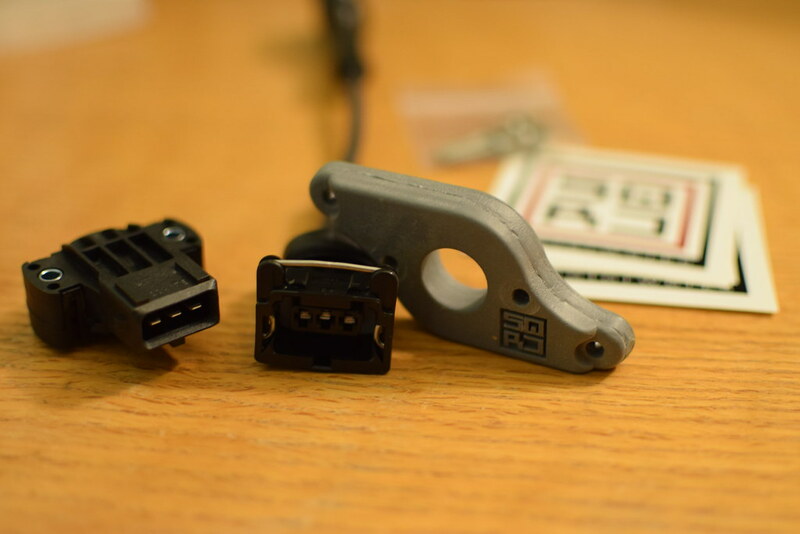 Downforce22/Ted built me a e36 TPS wiring adapter for RHD ITB's and MS2 install on my m20b31 stroker. 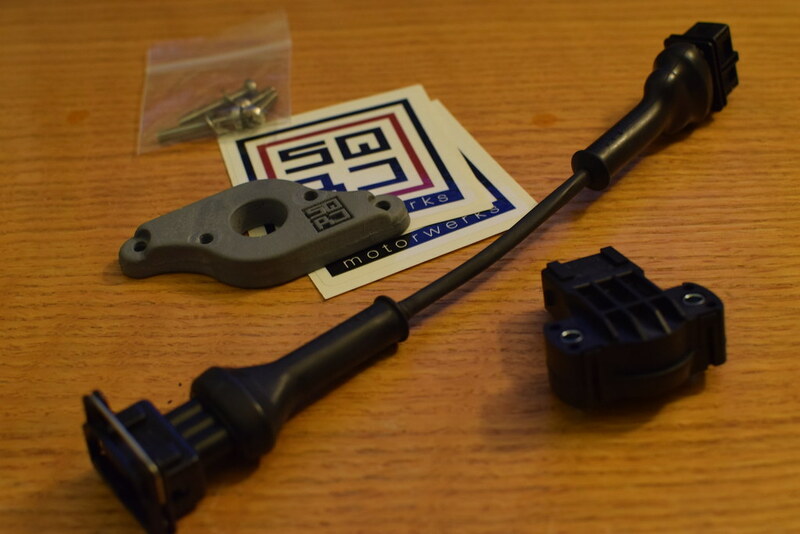 Was not interested in using ancient three-position e30 TPS (idle, POT, and WOT), so I needed a wiring harness to use the e36 dynamic TPS with MS2. The harness functions as described, build quality is very high, and using it makes the install look clean. Ted constantly communicated with me, and was very accommodating when I changed my order from 12" to 6" long. I would "HIGHLY RECOMMEND" using Downforce22/Ted and his quality product. Thank you Ted! Thanks for the review Glen. 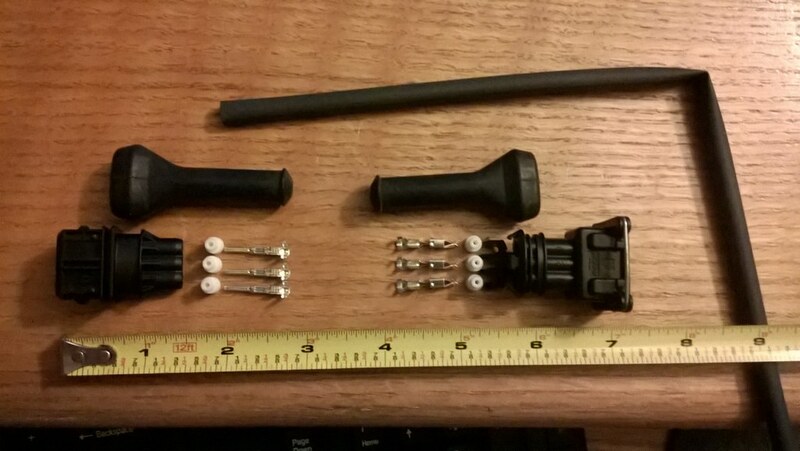 Here are some photos of the competed adapter with PICO high temp heat shrink and rubber boots and wire dust boots. 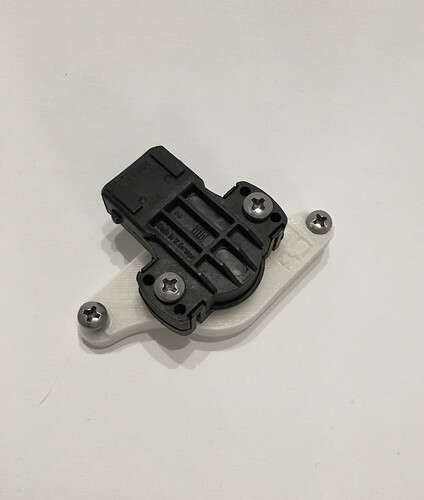 Can supply new e36 vTPS and vTPS adapter bracket as well. I was asked to provide the GM IAT sensor and can get that as well. PM for pricing and specific order needs. 135 shipped seems very reasonable. 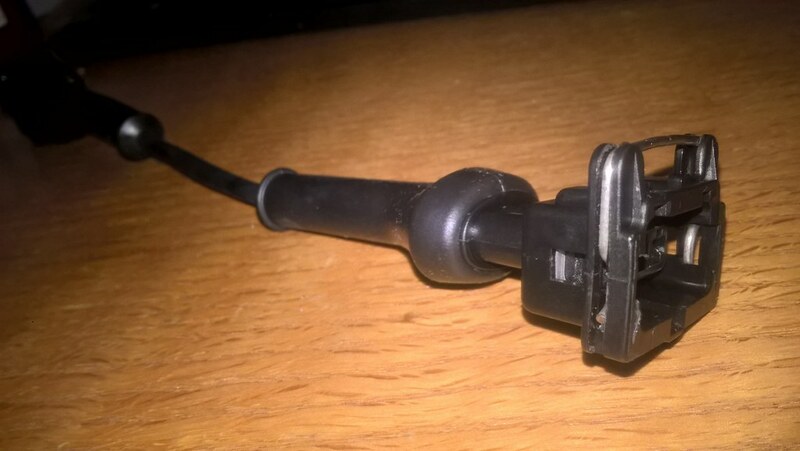 Is it a Bosch sensor. SSSQUID is building a MS unit for me right now. As far as the length goes it sounds like 12" is necessary for RHD ITB's. I received another order and started to build more vTPS Adapters. You'd just want it to be probably about 36 inches. Could be usable for early M30 Motronic to Megasquirt swaps. 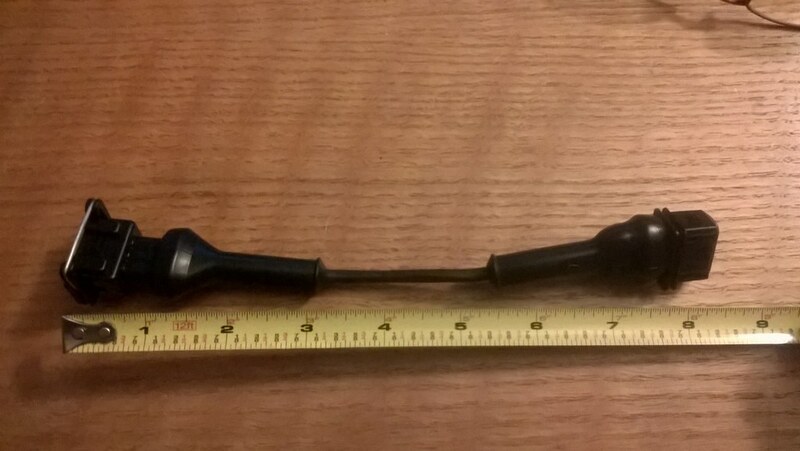 7" long adapter for RHD ITBs? ...As far as the length goes it sounds like 12" is necessary for RHD ITB's. Because these wires are often cracked and nasty looking, I cut about 5-6" off the factory m20b25 hard plastic covering on the engine wiring harness loom for the TPS, ICV, and CC (deleted, unused plug on my install), then where I cut it I used a zip-tie to contain the wires. I then heat shrunk the wires to the TPS, ICV. I cut my CC plug off, but left the 2 wires stubbed for later possible use with another auxiliary use with MS2 PNP, so no need to wrap these. My wires are now nice looking and very supple. 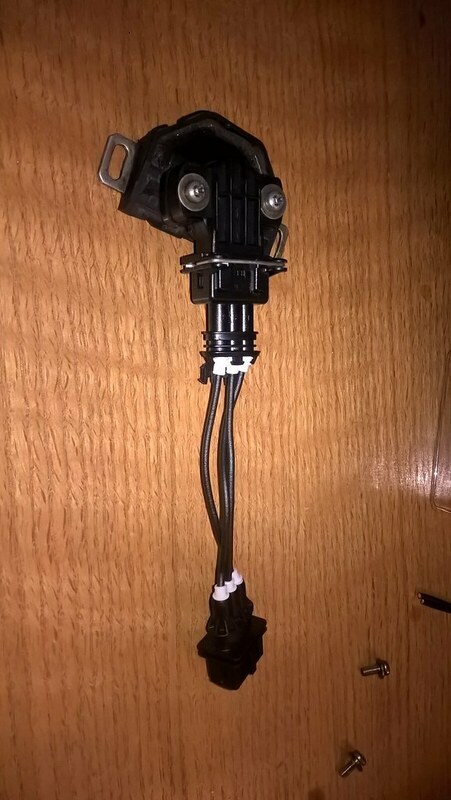 Also, if for some reason you are using a Motronic 1.0 m20b27 engine harness, there will no CC plug as those models use a manual purge valve. I did this to tuck this 3-function part (on mine 2 of course with CC plug cut) of the engine harness under the RHD ITB's, so that part of the harness is not hanging low. Thus I'm only using a 7" adapter from downforce22/ted with my RHD ITB's, and no lose wires or extra wiring hanging around. Of course if you install RHD ITB's you could have downforce22/Ted make you a 12" and not have to cut any of the engine wiring harness for the TPS, ICV, and CC, but you would have to somehow tuck the low hanging long-wired harness away, no BFD. Thank you for the feedback Glen. Is this kit still available and for sale? I would also like to know if you are making these kits. 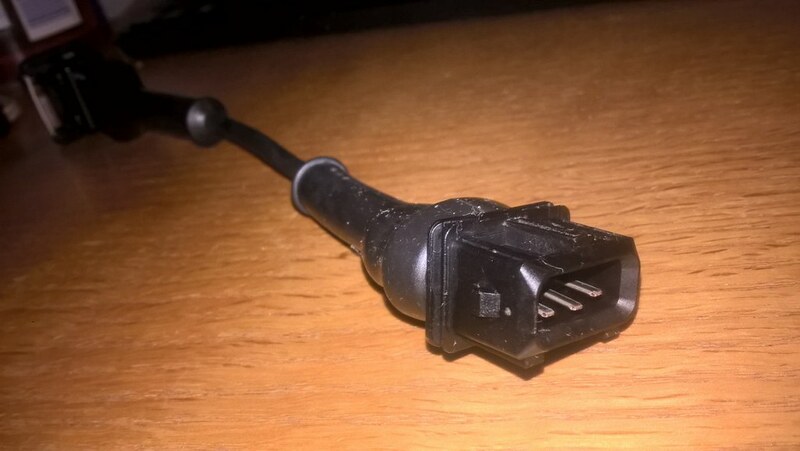 Or if you have the cad file for the adapter! It would be awesome to just quick 3D print it.